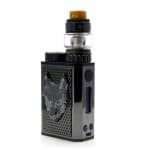 The SnowWolf Mini Kit by Sigelei is a mini version of the SnowWolf MFENG 200W TC Kit, powered by a single 21700, 20700, or 18650 cell (not included), and topped with a Wolf Mini tank. 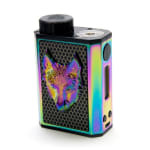 The durable SnowWolf Mini mod delivers up to 100W to atomizers in the resistance range of 0.05-3.0Ω, and supports temperature control with TCR customization. 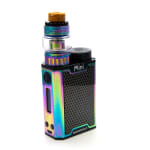 The Wolf Mini sub-ohm tank has a 25mm wide base that fits flush on the mod, a bubble tank with 5mL e-liquid capacity, and secure quarter turn easy fill top with 510 resin drip tip. Also compatible with MS and MS-H coils, available here. 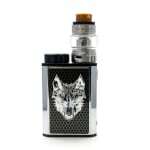 The SnowWolf Mini Kit by Sigelei is a sturdy 100W miniaturized version of the popular SnowWolf MFENG 200W TC Kit, powered by a single 21700, 20700, or 18650 cell (not included). 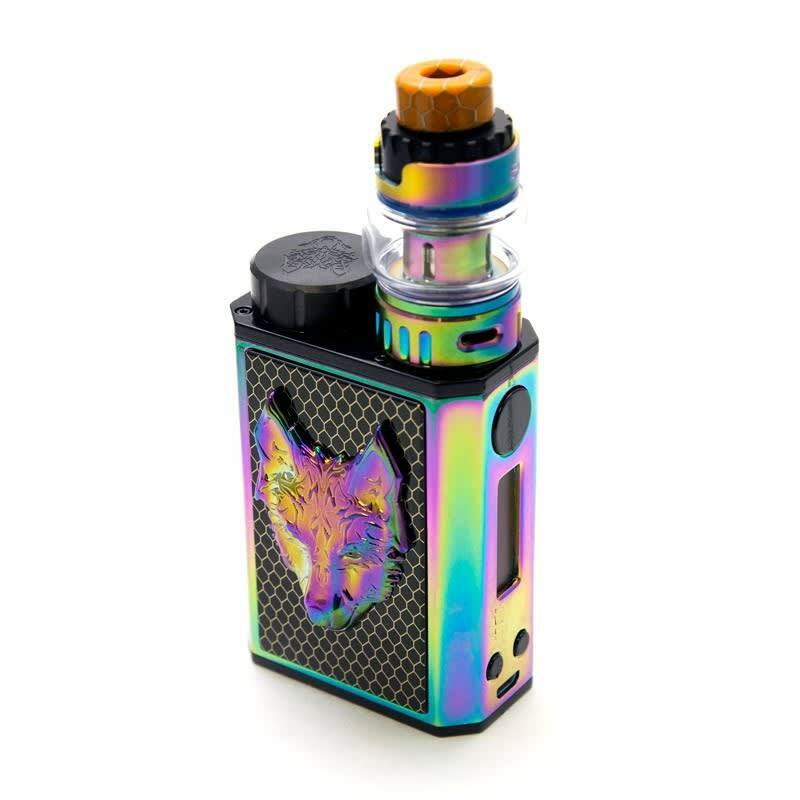 The SnowWolf Mini mod is compatible with atomizers in the resistance range of 0.05-3.0Ω, and supports temperature control for Ni200, Titanium, and Stainless Steel 304/316/317 with TCR customization. A large firing button provides responsive feedback, and the +/- buttons allow for easy navigation of the menu on the 0.91" OLED screen. A micro USB port supports updates and charging of the cell, but an external charger is recommended. 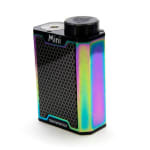 The Wolf Mini sub-ohm tank has a 25mm wide base that fits flush on the mod, a bubble tank with 5mL e-liquid capacity. 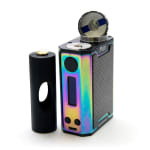 and secure quarter turn easy fill top with 510 resin drip tip. The intake resistance can easily be customized with the deeply ridged bottom airflow control ring, and the dual 2 x 7mm intake channels provide a smooth draw. 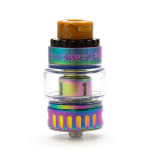 The SnowWolf coil series has also been scaled down in size and a WF Mini 0.28Ω coil rated for 30-60W, and a WF-H Mini 0.25Ω coil rated for 40-80W are included.